Whether you have several missing teeth or just one, it’s a serious matter; every tooth that’s missing really should be replaced. While bridgework and dentures are better than doing nothing, only dental implants can prevent the potentially very serious bone loss that occurs whenever a tooth is lost. Getting a single dental implant in Beverly Hills at our offices, or several at a time, can save you a great deal of painful trouble later on. Dr. Peiman Soleymani of Beverly Hills Periodontics & Dental Implant Center has performed countless implant procedures and helped numerous patients improve their smiles and their oral health. When there is a single tooth missing, usually simply placing an implant is sufficient to fill the space and restore proper tooth function. However, if the tooth has been absent for a period of six months to a year or even longer, the bone typically begins to show some signs of atrophy. At that point, a highly detailed clinical and radiographic examination becomes necessary to evaluate if an additional bone or gum grafting is needed. 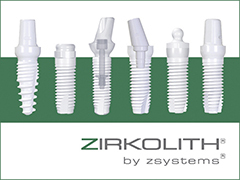 With that information, we will know the best approach to ensure the right foundation and ideal placement of the dental implant, which will ultimately ensure the longevity and reliability of the implant. Getting an implant involves a minor oral surgery to place the lower portion of the implant below the gum line. The procedure takes roughly an hour or two and Dr. Soleymani will suggest the right type of anesthesia in your case. Once the procedure is completed, you will have a temporary prosthetic tooth in place, which will replace your lost tooth for the next three to six months as your mouth heals and the bone in your mouth fuses with the implant. When that process is complete, the doctor will place the permanent prosthetic tooth in your mouth. From that point on, you will be able to eat all types of food without worry. To find out more about obtaining a dental implant with Dr. Soleymani at Beverly Hills Periodontics & Dental Implant Center, contact us today at the phone number above. You can also reach us via our contact page.